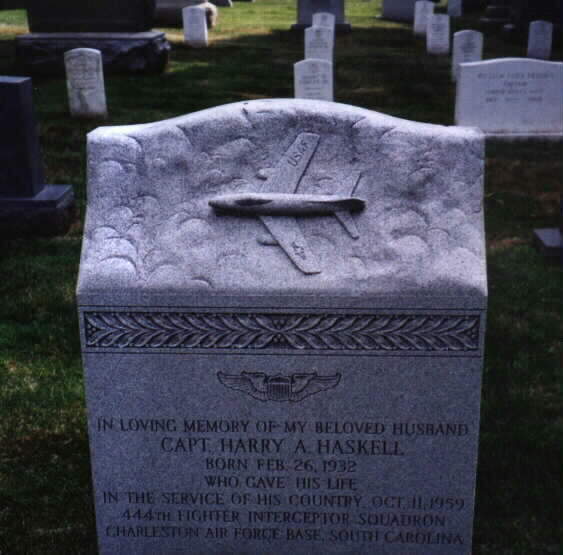 "In memory of my beloved husband. Born February 26, 1937, and gave his life in the service of his country, October 11, 1959. 444th Fighter Intercepter Squadron, Charleston Air Force Base, South Carolina." 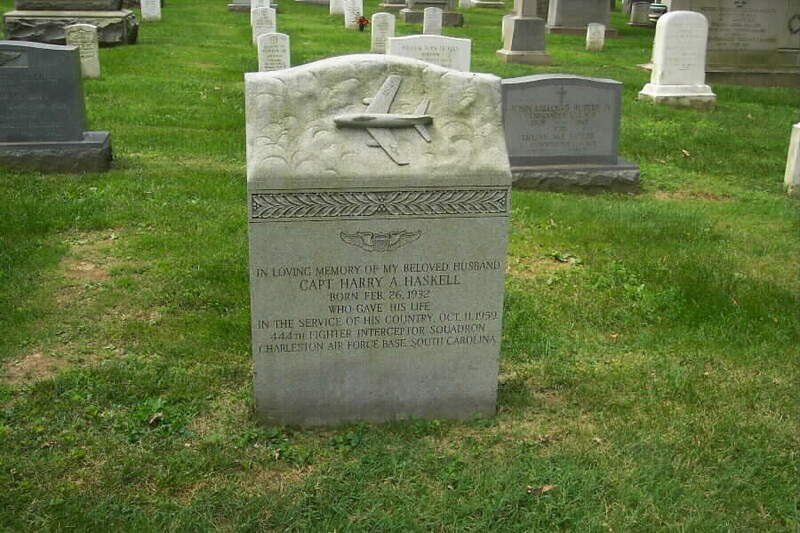 His stone has a fighter jet and aviator's wings engraved into the stone.